Don't miss this rare opportunity to own one of Sanibels finest custom-built homes in Little Lake Murex! 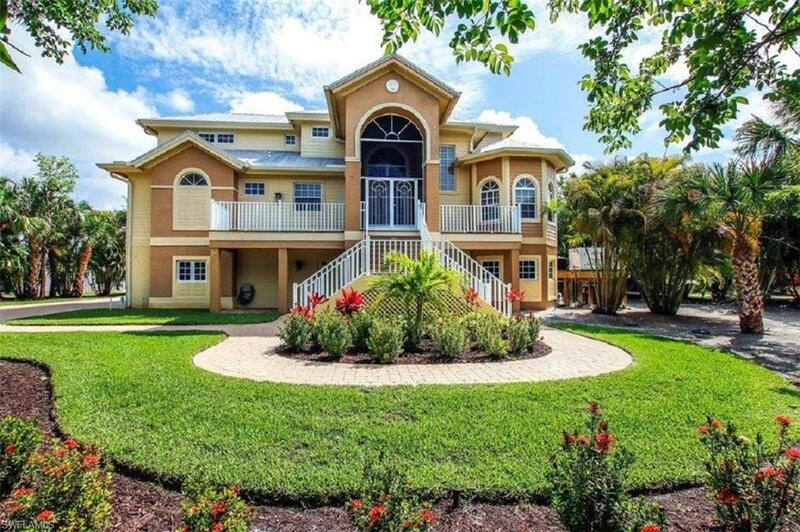 A private winding driveway lined with Royal palms and lush landscaping leads to this island paradise with all-en-suite 3 bedrooms, 3.5 baths, office, great room, family room and over 3700 of living area. Additional features include elevator serving 3 floors, full house generator, impact-resistant glass and doors, high ceilings and doorways, warm hardwood floors and abundant storage. 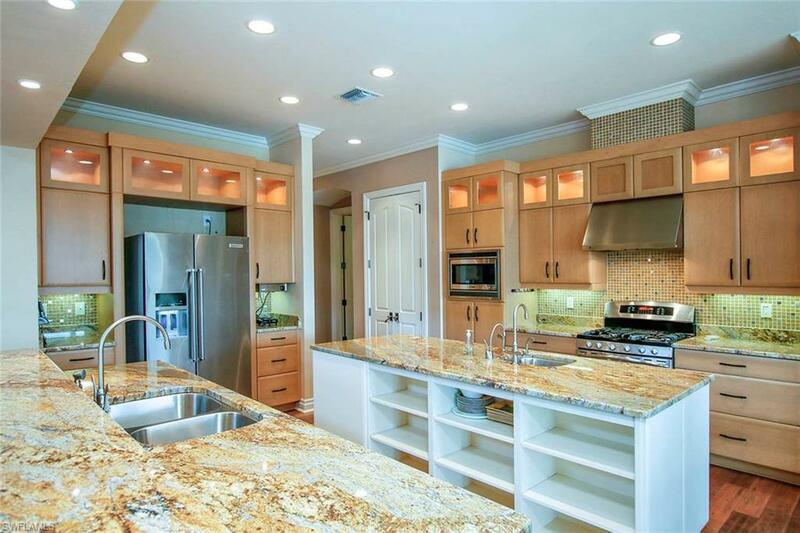 Spectacular kitchen features extended breakfast bar, prep island, lighted custom cabinets, granite counters, gas stove and dining area overlooking the lake. Great room with fireplace opens with pocket sliding glass doors to large covered decks with knotty pine ceilings. Master bedroom wing with stately bath, including Steamist shower and porcelain tile floors, is fit for a king. 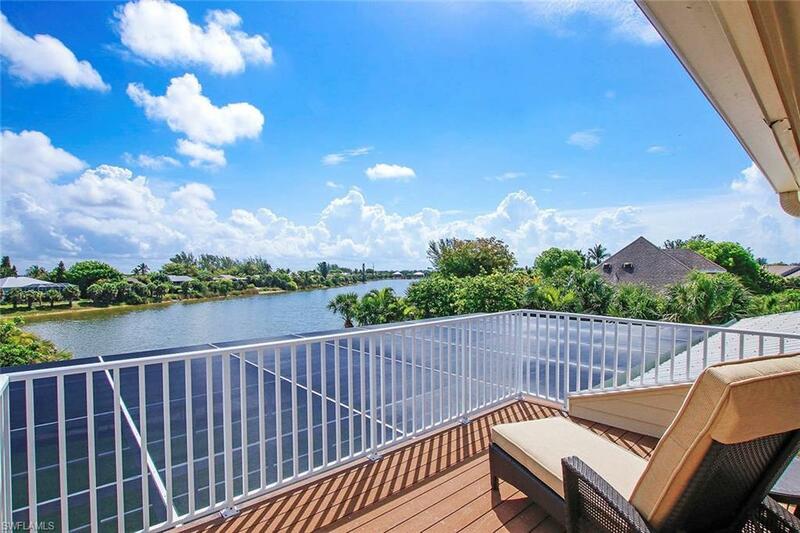 Unparalleled lake views from all living levels, including extensive patios and wrap around decks, overlook the oversized heated pool and spillover spa, and may compete for your attention from the white sand beach at your deeded access. Manicured grounds are pet friendly with a 4' fence. This hidden treasure awaits you. 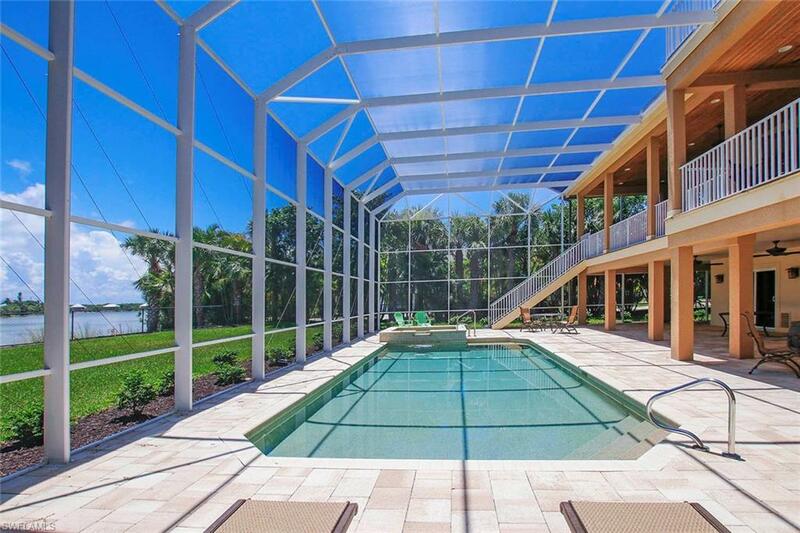 Listing courtesy of Steven Fisher of Re/Max Of The Islands.